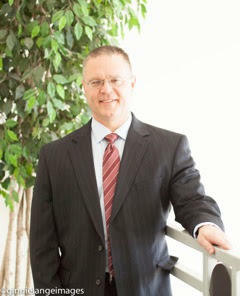 Troy is a partner in the Illinois law firm of Owens & Laughlin LLC. He was admitted to practice law in 1991, and immediately accepted a position as a prosecutor in the Boone County State’s Attorneys Office. He was promoted to the position of First Assistant State’s Attorney in 1993, where he became responsible for all levels of felony litigation in Boone County. In this capacity, Troy was able to focus the SAO’s prosecutorial efforts in crimes against children. He authored the Boone County Multidisciplinary Protocol for the Investigation of Child Abuse, integrating the statutory enabling functions between the SAO, jurisdictional law enforcement, DCFS, and associated critical third party entities. His heart for the abused has grown to include women who are trafficked and exploited. Troy left government practice in 2004. He entered private practice, where he practices personal injury litigation, as well as securities and commercial litigation. As a part of his personal injury practice, he still remains engaged in child abuse cases on behalf of child victims. Troy is a proud father of two beautiful daughters, Callie and Chloe Owens. He is getting married in 2018 to Karen Russell. Troy is an enthusiastic member of Willow Creek Community Church in Huntley. We are so excited to welcome Troy’s heart and expertise to our Refuge board.